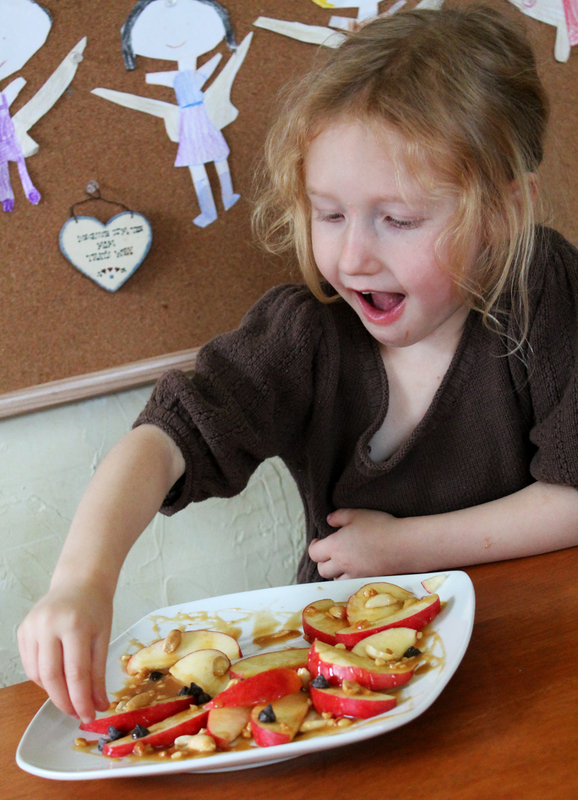 vegan snacks for kids | Live. Learn. Love. Eat. 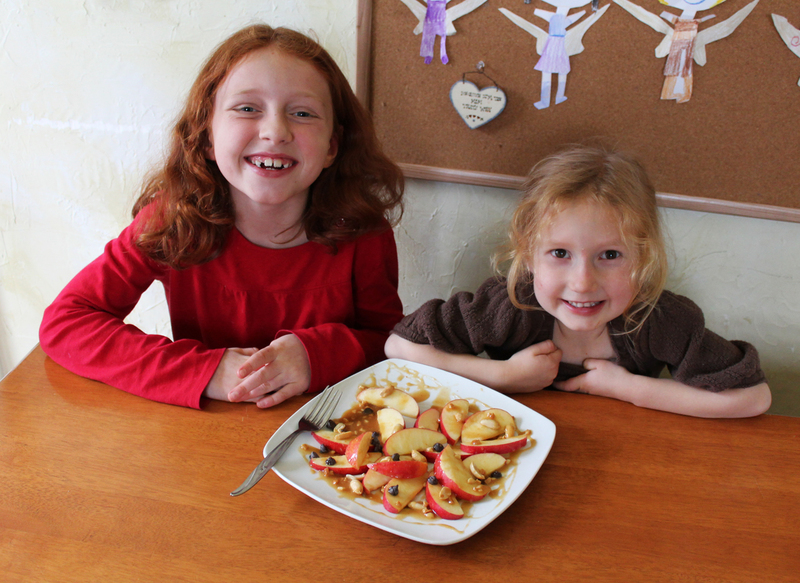 This afternoon I felt like surprising my girls with a sweet (but healthy) treat so I made them a plate of apple “nachos” to share. 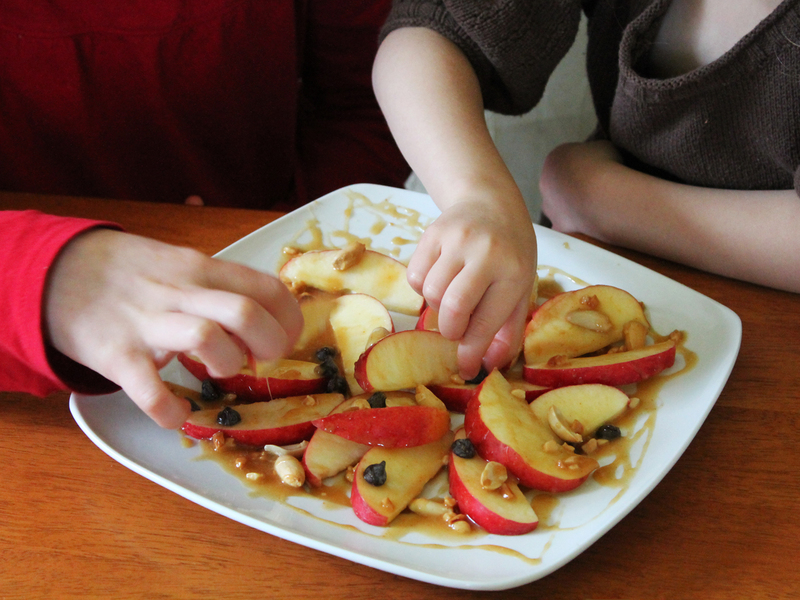 They loved this sweet snack, since they are always snacking on apples. 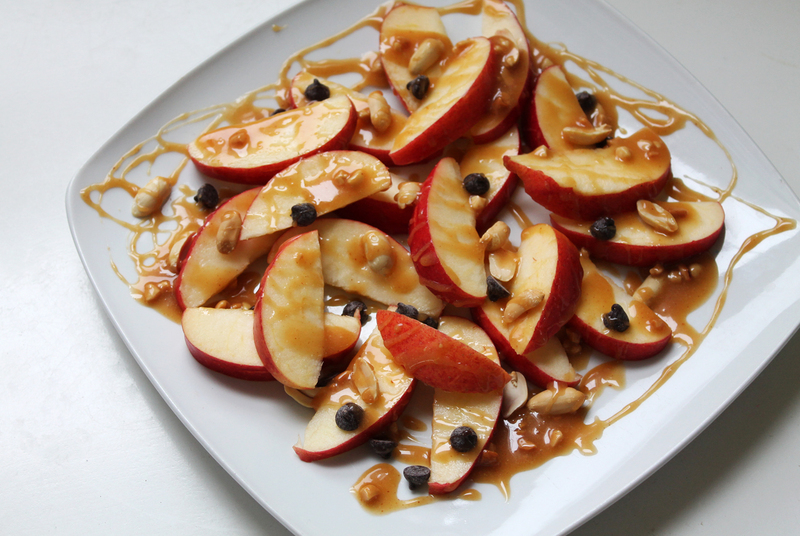 I decided to spiff up their favorite snack by cutting apples into slices, drizzling them with a vegan peanut butter caramel sauce and adding a sprinkling of vegan chocolate chips and unsalted shelled peanuts. Slice the apples and place it onto a large plate. 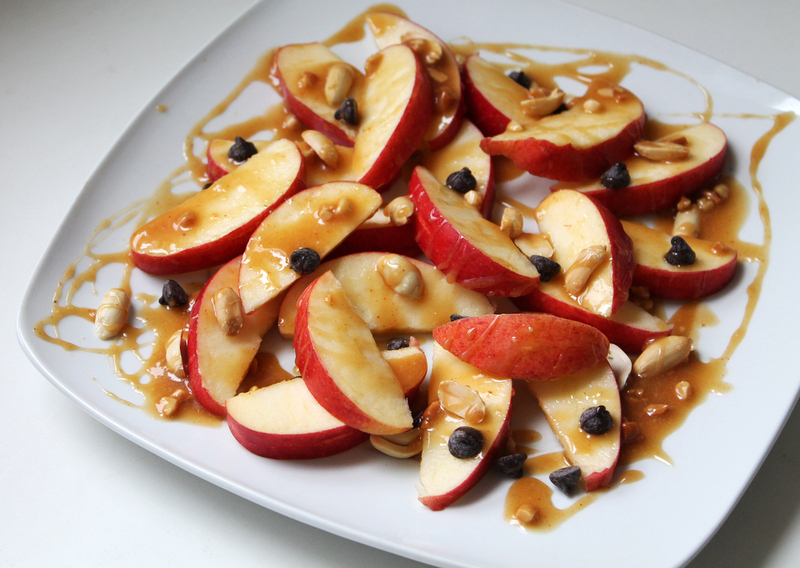 Sprinkle on the chocolate chips or raisins and shelled peanuts. Whisk together the brown rice syrup, maple syrup, peanut butter and vanilla in a small saucepan and heat over medium heat for a few minutes, until runny. Remove from heat and drizzle over the apple slices.